Need a little sparkle in your life? Something toasty and snuggly? Fear not, my friend. In just a few minutes, you’ll have Peppermint Sparkle. Step 1) We all have candy canes somewhere. If not, zip down to the store and scoop them up from the clearance aisle. 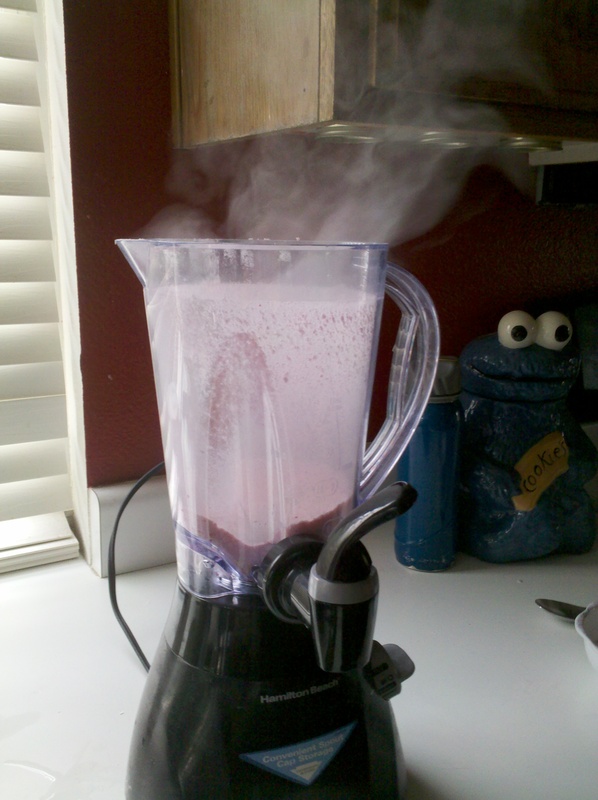 Grind them up in your blender, and don’t forget to avoid breathing in delicious candy cane dust. It’s like black lung, only more festive! Step 2) Stir your peppermint dust into some delicious whipped cream. Real cream that you whip yourself is absolutely divine. However, I’m a realist. Look! 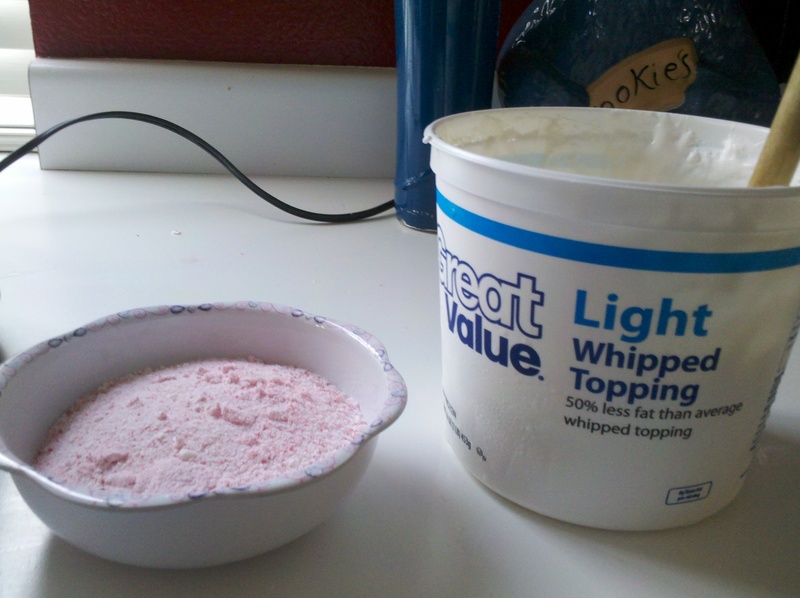 Cheap whipped cream! Generic and soulless! But throw in some candy cane and then it becomes a dream. Freeze it for a few minutes until it’s solid enough to hold its shape but not so frozen that you have to chip it out with a screwdriver. Because screwdrivers in your food are just eeeeeeeewwwww. 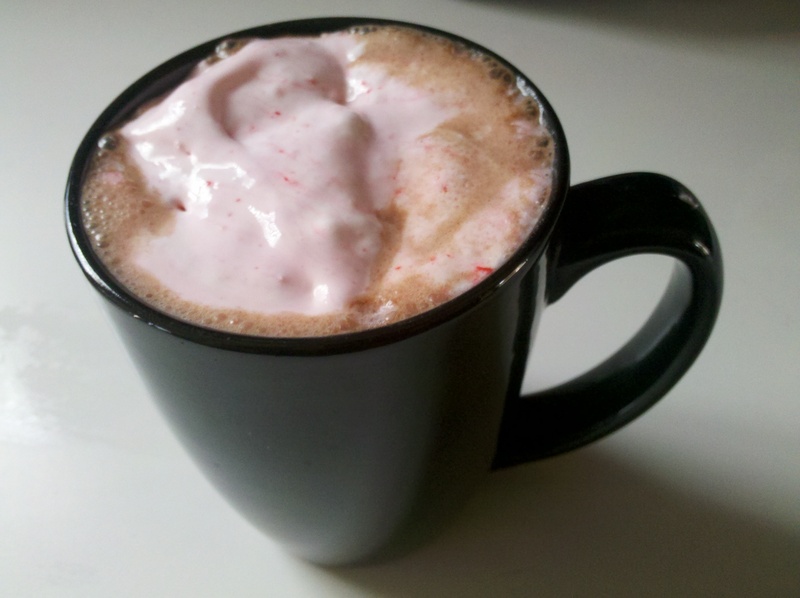 Step 3) Fill your mug with hot chocolate and then add a generous dollop of Peppermint Sparkle. Your world is instantly better. You are important! You are loved! Step 4) Add a friend or three. My fabulous writing group The Illiterati (Aka the Interdimensional Wombats) came over to write and drink Peppermint Sparkle. Unfortunately, I only have one mug and it’s embarrassingly gigantic. Unless we all wanted to get cozy and drink out of it with four glass straws (oh, how charming are we!) then they had to provide their own mugs. There is nothing more Oliver Twist than somebody arriving at your front door holding a sheaf of papers and an empty mug. It’s impossible not to look forlorn. Aha! So that’s what I can do with the left over chocolate mint candycanes. I love having them adorn the tree but rarely find much else for them. 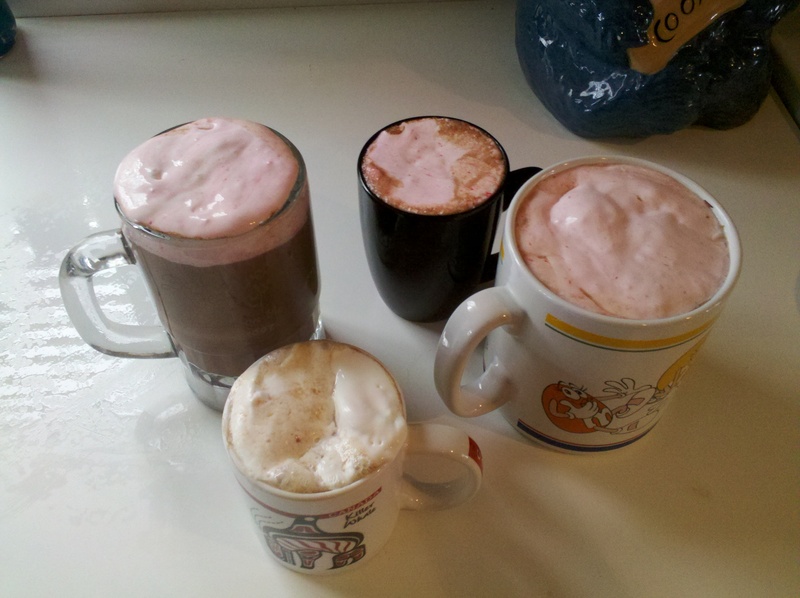 Usually I make hot chocolate (cheapo brand) and add a a flavored creamer. like Peppermint Mocha, Hazelnut, etc. Sounds interesting Mercedes. Next time I have spare candy canes and that is EVERY holiday season I will try this. I like chocolate with mint! Truly this day will live on as one of the best times had by the Illiterati. The story I brought to you guys that day ended up selling right after we tore it apart, so hooray for our writers’ group! This is a post from last year, but it’s even more in season now. Peppermint Sparkle. Enjoy!